Friendship Commanders: JUNE AND JULY TOUR DATES! 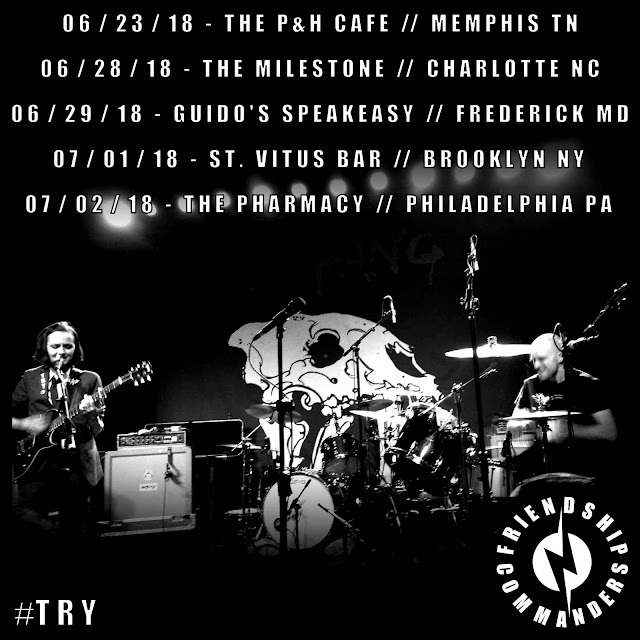 JUNE AND JULY TOUR DATES! Mighty thanks and appreciation to all who came out to the Raise Your Voice shows last month! We had a terrific time - and we registered some people to vote. So, mission accomplished! We're grateful to the venues, promoters, organizations, bands, and friends who participated. We're playing a handful of shows at the end of this month and beginning of July. Dates below. Announcements about the forthcoming album will be made next month; stay tuned! We wish you a happy beginning of Summer. We'll see you out there.